I tried to be fair to everyone – no pianist in this competition could possibly be 100% bad – I tried to give a balanced and just view of as many artists as I could - positive and negative characteristics. 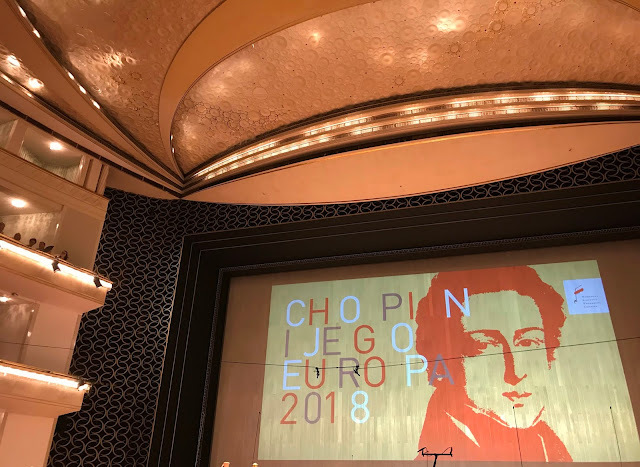 It was not intended as a technical musicological commentary or analysis of a 'faithful' or 'unfaithful' performance according to Chopin's score and the National Edition. These were simply general personal impressions of pianists not gospel. May I have them ? The competition scores of the participants have been released - I think this has never been done before. However I really do not understand the paragraph elucidating the thinking behind the departure from the normal rules of the competition at the Final Stage. I do wonder of this was a wise move - anomalies abound (except in the case of Avdeeva who scored highly throughout and was way ahead at the conclusion of the competition). You really must take care not to underestimate the achievements of these young musicians. I tried to be a concert pianist in London in my twenties. I recognize the incredible talents all of these young people have – to even get into the Preliminaries is incredible – really – you have to be able to play everything - a Concerto, a Sonata, Etudes, Polonaises, Mazurkas, Waltzes, perhaps the Barcarolle, all the Scherzos and the Ballades…….unbelievable achievement if you have actually tried to do this even with a modest talent for the piano. Also you would need to study harmony, counterpoint and so on as well as learn to play Beethoven, Haydn, Brahms, Mozart while at music school, plus your normal school subjects as well as Chopin. Do not become blase because you hear so much brilliant playing. I cannot recommend this thought-proving and intelligent book highly enough to straighten out clearly confused ideas about how Chopin playing has evolved in different ways throughout the world (including Poland) over the years. Adveeva lies squarely within the straightforward Russian school of Chopin playing established by Anton Rubinstein (1830-1894) - like it or no. Trifonov is quite atypical among Russian players. In his rather 'feminine' Chopin he never allows the heroic, muscular or dramatic to obscure the lyricism. His always balances the masculine and feminine sides of this enigmatic composer. This is very much in line with the composer's own beliefs about his compositions - and for what its worth - mine too. The posting for September 3 entitled "The Australian Concert Pianist Edward Cahill" will give you some very brief idea of his life and what I am up to day after day in Warsaw. You can also hear on that posting an example of a different era of playing altogether to today. La Campanella of Liszt on a 78 shellac recording he made in 1935. 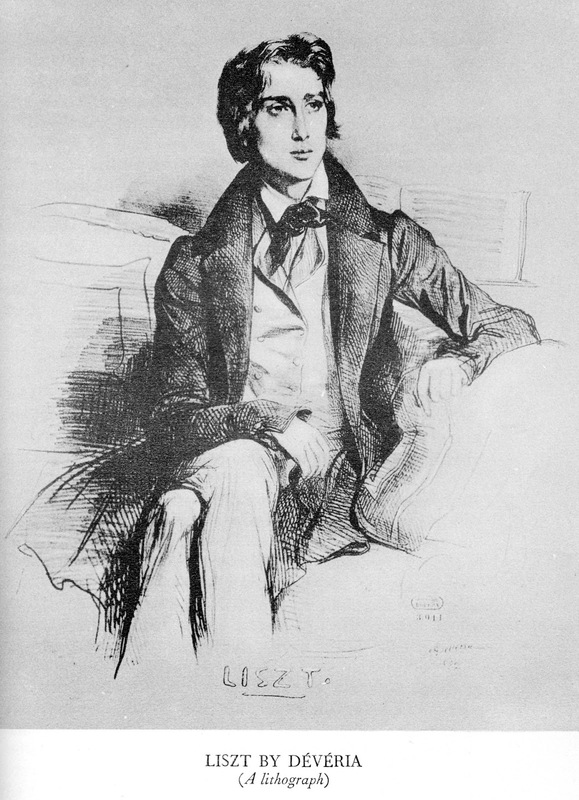 2011 is the bicentenary year of the birth of Ferencz Liszt (October 22, 1811 – July 31, 1886). 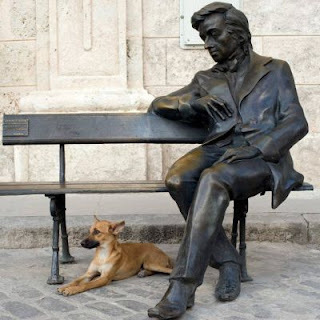 Will the earth stop spinning on its axis as it did for Fryderyk Chopin? I hope that there will be a similar examination of this amazing man who extended the technique of the piano so dramatically in a completely different way to Chopin but no less importantly. He changed the life of the concert pianist forever - well, invented it really for better or for worse. A fine composer (not a popular view) - particularly his very abstract final works for the piano which move beyond even Debussy. If you have not heard them, they are amazing and never performed in recital. A marvellous account of his life and work, by far the most detailed and fascinating both anecdotally and musically is the trilogy written by Alan Walker. An entertaining and highly personal voice and view of the composer unfortunately long out of print is Liszt by Sacheverell Sitwell (London 1934). Plenty of used copies through Abe Books are still available. Another fascinating book just published in French (Fayard 2010) is entitled Chopin et Pleyel by Jean-Jacques Eigeldinger. It is an illustrated study of the instruments of the piano manufacturer Pleyel and Chopin's relationship with him. Wonderfully detailed and immaculate research and illustrations. Chopin regarded Pleyel as the non plus ultra of pianos. Jean-Jacques Eigeldinger also wrote the Chopin 'bible' Chopin Pianist and Teacher as seen by his Pupils (Cambridge 1986). Do read this if you have not already.